One of the most exhilarating and wonderful creatures that you can ever encounter in the wild in North America is a bear. These large omnivores are generally elusive and shy, but sharp-eyed travelers can spot them regularly in a number of places across the U.S. and Canada. The vast majority of the time those encounters are safe and pass without incident, but on occasion they can turn dangerous and sometimes deadly. 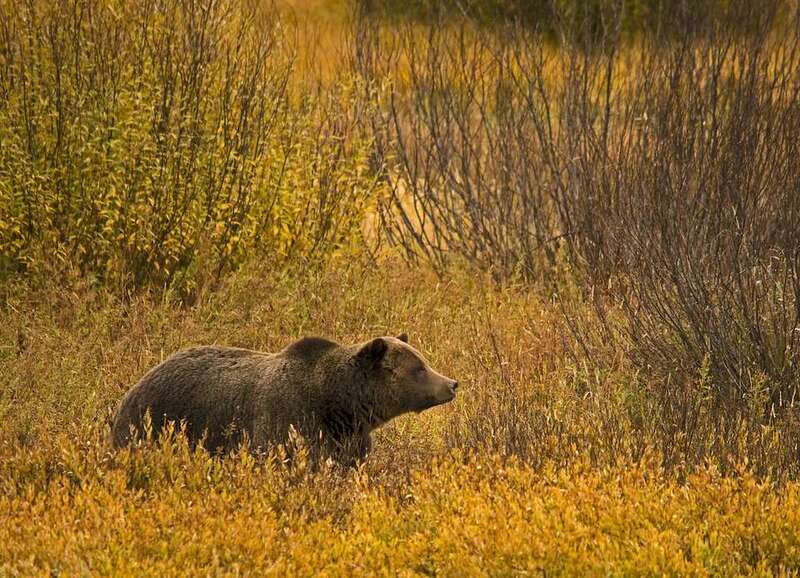 If you find yourself hiking or camping in an area with ursine inhabitants, here are some tips to help you get back home safe and sound. The absolute best way to stay safe in bear country is to avoid the animals altogether. You can do this by giving the creatures advance warning of your presence by making noise along the trail. Some hikers like to wear a bell on their pack that jingles while they walk, alerting bears and other creatures to their presence. Others will talk loudly or even sing while walking through the woods. The idea here is to let any nearby wild animals know that you are coming, giving them the opportunity to exit the area before any dangerous interactions can occur. This isn't always a successful technique however, and occasionally you'll come across a bear that is distracted while foraging for food. Typically, those creatures won't even notice that you are there, as they go about their business harmlessly. If that is the case, give the bear a wide berth and exit the area as quickly as possible. Use caution when passing however, because if the bear is female and you find yourself between her and her cubs, she is more likely to become aggressive. Also, keep in mind that the National Park Service requires all visitors to America's national parks to stay at least 100 yards away from bears at all times. It should be stressed that bears rarely attack humans, so if you do come across one while in the wild it is important to remain calm and not panic. Keep your eyes on the bear at all times, while remaining well aware of your surroundings. Some bears may try to intimidate you with snarls, growls, and even charging. Most of the time, they are just posturing, and more likely than not, they'll simply run off into the woods as soon as the opportunity presents itself. If your bear encounter turns into a stand-off, you'll want to hold your ground and begin talking to the animal in a clear, strong voice. This will help to let it know that you are not prey, which is usually enough to dissuade them from attacking. It also helps to make yourself look as large as possible, as this can intimidate the bear, possibly forcing it to back down. Keep food out of sight and don't feed any to the creature, as it will only encourage it to follow you looking for more. But most importantly, do not under any circumstances, run. To a bear, the only thing that runs is prey, and it will likely give chase. Bears may be large mammals, but they are still fast enough to run down humans and they have the endurance to outlast most of us too. If you find that the bear is staying close but not moving, slowly start to back away. Keep stepping to the side so you can keep your eyes on the animal at all times, but walk away from it at a steady pace. The goal is to get away as quickly and safely as possible, while keeping your eyes on the bear at all times. While it is rare, bear attacks do happen from time to time. If a bear does charge you it is important to remain as calm as possible and take action to help protect yourself. What exactly that action is depends on the species of bear that you've encountered. In North America, the two most common types of bear that you'll come across in the backcountry are brown bears and black bears. While it may not seem all that easy to tell them apart at first glance, there are some tell-tale signs that can let you know exactly what your'e dealing with. When identifying the type of bear you've spotted the color isn't the determining factor despite the name of the two species. Black bears can be brown and vice versa. That said however, there are some other physical characteristics can help you to tell them apart. For starters, black bears are smaller in stature and have smaller claws as well, while brown bears – also known as grizzlies – are much larger, have a distinct hump on their backs just behind the neck, and have much bigger paws and claws. Knowing the species of bear will determine exactly how you react to an attack. If it is a black bear, the best course of action is to try to escape, but if that isn't possible you should fight back. If the bear gets close, strike it in the nose and face with your fists, a stick, rocks, or just about anything else you can get your hands on. Black bears don't tend to be aggressive, so when you fight back it is likely to drive it away. On the other hand, grizzly bears can be quite aggressive, and because they are so large fighting back isn't generally a good option. Instead, you should lay face-down, flat on the ground playing dead. Put your arms over your head and spread your legs to keep from getting turned over. Leave your backpack on to serve as protection for your back and shoulders, and try to remain as still as possible. Eventually, the bear will lose interest, leave you alone, and wander away. One of the best ways to deal with a bear attack is to use bear spray. This super-concentrated version of pepper spray can stop even a large bear dead in its tracks, forcing them to back off and leave you alone. If you're going to be hiking in an area where bears are active, it is a good idea to have a can of this powerful deterrent at your disposal. Just be careful that you're not standing down wind when you use it, or you could end up exposing yourself to the chemicals instead. Also, take caution to not accidentally discharge the bear spray at any time either, as that could leave you without protection and smelling awful besides. As with most wildlife encounters, a little common sense goes a long way. Bears are big, powerful, and sometimes-aggressive animals capable of surprising speed and strength. Failing to respect that can lead to trouble, but knowing just how to react can go a long way toward diffusing the situation and getting you home safe and sound. After all, the ultimate goal is to allow us to enjoy the outdoors to the fullest without fear of encountering dangerous animals. Once you feel comfortable handling those situations however, the world of adventure travel opens up even more, granting you safe access to some of the most remote and breathtaking places imaginable.